For clients looking for 1+ visit a day. Perfect for puppies, senior dogs and those recuperating from an accident/illness needing a short potty break or walk. A minimum of 2 dogs – that includes your dog – and a maximum of 3 dogs in a group. 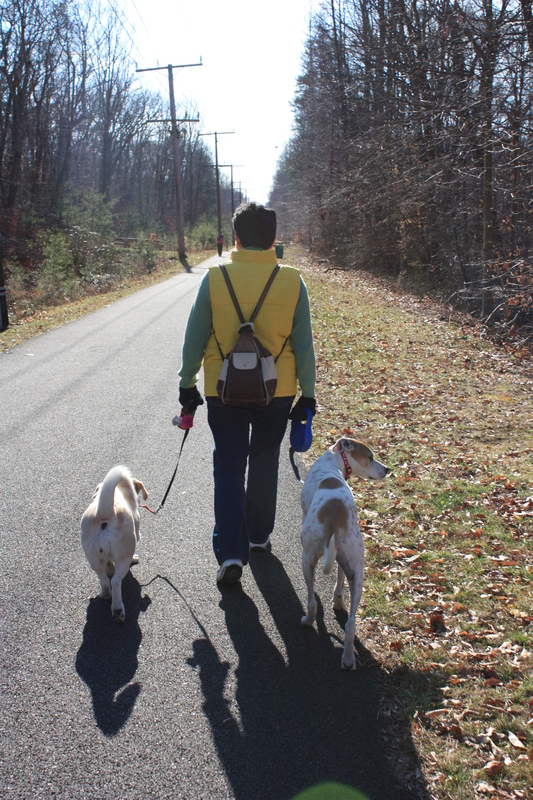 I take the time to know your dog’s quirks, personality, habits, etc., in order to make the walk enjoyable and fun. Great exercise for those dogs that are social and want to continue brushing up on their social skills. A great way to start walking a dog that is reactive, fearful, timid, and/or labeled aggressive. Visits before 10am or after 5pm are charged at a rate of time and a half.